DividendMax»Company Coverage»Country:United States»Exchange:New York Stock Exchange»Sector:Retailers»Company:Home Depot, Inc. Founded in 1978, The Home Depot, Inc. is the world's largest home improvement specialty retailer with fiscal 2011 retail sales of $70.4 billion and earnings of $3.9 billion. The Home Depot has more than 2,200 retail stores in the United States (including Puerto Rico and the U.S. Virgin Islands and the territory of Guam), Canada, Mexico and China. The Home Depot's stock is traded on the New York Stock Exchange (NYSE: HD) and is included in the Dow Jones industrial average and Standard & Poor's 500 index. 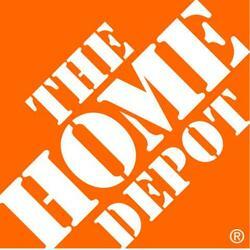 In recent years Home Depot has been increasing its dividends.